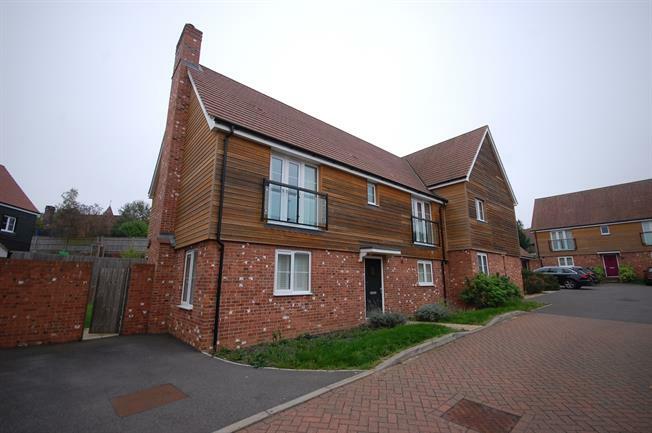 4 Bedroom Semi Detached House For Sale in Uckfield for Guide Price £400,000. A Stunning four bedroom family home in the popular village of Buxted. Entrance hall though to spacious lounge with doors to the rear garden. Kitchen/diner with patio doors. Downstairs cloakroom. To the first floor there is master bedroom overlooking the rear garden with ensuite shower room. Two double bedroom with Juliette balconies and a further fourth bedroom and family bathroom. Good size rear garden, Off street parking and garage.